We, in the Episcopal Diocese of Connecticut, are a diverse flock with many voices spoken in different languages. Yet, we are one body, seeking a visionary person who will lead us forward in doing Christ’s work in this changing world. Are you a person rooted in Christ and formed by the Holy Spirit? Are you an open- minded person, willing to invite, value and hear our variety of voices, helping them to be held together in Christ? Will you joyfully embrace many challenges to lead in spreading the Good News of Jesus Christ to all people? Please prayerfully read these pages seeking God’s will for you and this diocese. If you would like to continue this process, we invite you to send us your application. We would like to hear from you and further discern what could be your call to be our next Diocesan Bishop. "I am the good shepherd. I know my own and my own know me, just as the Father knows me and I know the Father. And, I lay down my life for the sheep. I have other sheep that do not belong to this fold. I must bring them also, and they will listen to my voice. So there will be one flock, one shepherd." Every Sunday in Connecticut, we worship in four languages: English, Spanish, French, and American Sign Language. Our members come from six continents. The diocese is very large, blessed with members of many different ethnicities and cultures, and a broad spectrum of theological perspectives. Although there are pockets of extreme economic need, we come to the table with many gifts and assets that will enrich our future. As articulated so well by Bishop Smith, we see ourselves as God’s people on mission. In addition to our formal diocesan mission partnership with the Diocese of Colombia, S.A., we have informal partnerships with the Anglican Church in the Democratic Republic of Congo and with the Diocese of Lebombo in Mozambique. Our parishes have established mission relationships across the United States and in thirty-four other countries. For the past 16 years, we have sponsored a summer program sending youth to work with the Iglesia Episcopal Dominicana in the Dominican Republic. We also embrace local mission. Our parishes serve their communities, offering the church as the place where life is changed through Christian action. We are well-known for welcoming our neighbors through service and outreach programming. Connecticut is a beautiful state, offering urban arts and culture to stimulate the mind and rural peace and quiet to calm the soul. We have hills for hiking and beaches for basking. Centrally located between New York and Boston, we cheer for three baseball teams and the best women’s basketball team in the country. Connecticut is home to major corporations, an Episcopal seminary, and renowned universities. Despite the fact that the Diocese of Connecticut is relatively populous, with over 60,000 baptized members and 172 congregations, it is fairly convenient to have face-to-face meetings with persons from other parts of the diocese without requiring an overnight stay. Supported by diocesan programs that encourage spiritual formation and continuing practical education, lay parish leadership in Connecticut is strong. Lay people lead committees and provide valuable ministry on the parish and diocesan level. Connecticut Episcopalians are influential leaders in business, education, and government. In addition, there are many ordained ministers to bring the mission to fruition. Besides the Diocesan Bishop and the two bishops suffragan, there are 214 active and 154 retired priests, and there are 94 priests who work in a non-parochial setting. There are 39 active deacons and 16 retired. The economic downturn has put some parishes into extreme financial crisis, and this in turn is affecting diocesan mission. Even before this most recent downturn, we had lost some full-time clergy due to inadequate funding. We live with the burden of an aging diocesan infrastructure: old church buildings that divert money from mission to maintenance. We want to live into these economic times as opportunities to preach the Gospel and love our neighbor. What is God calling us to do in the midst of economic uncertainty? Issues of power, local control, money, and scriptural interpretation are not easy. We, as a diocese, represent a great span of theological diversity - this is one of our strengths. At the same time, the differences of faith and practice have led to some well-publicized conflict within the diocese, in addition to legal action. At present, two parishes have chosen to operate under Delegated Episcopal Pastoral Oversight. We are aware that a bishop, as a representative of the unity of the Church, carries a particular burden in addressing division while seeking to maintain unity. We desire a bishop who will help us gather, and continue to gather around the same table - appreciating our differences, and realizing our unity in Jesus Christ. How can we live into Jesus' prayer that we all be one while maintaining our personal integrity? Like many other dioceses, Connecticut suffers from an aging church membership along with lack of participation of younger people. Similar to the national trend, Sunday attendance dropped 4% between 2006 and 2007. At the same time, our Spanish- and Creole-speaking membership is growing. Our members are deeply devoted to their church and are aware that growth may demand new shapes of ministry and connections with other parishes. How is God calling us to grow in spiritual depth and strength? Issues of human sexuality are complex. The diocese continues to discern how to minister to all people. This is a spiritual, social, and political issue. The ordination of gay and lesbian persons to the ministry causes tension between the Diocese and some parishes, as does the inclusion of members of the transgendered community. The recent state Supreme Court decision to legalize marriage between two people of the same gender in Connecticut has raised the issue to a new level. We realize that the General Convention may address proposals that will change the landscape of this issue. How do we articulate the mind of Christ in the world around us when we have different minds? The breadth of our diocesan mission and ministry reflects the diversity of Connecticut. Engagement with the world is important for our diocese. Our parishes reach out to serve the wider community through our food pantries, after-school music programs, community suppers, and blessings of animals and even motorcycles. The Episcopal Church Women of the diocese is recognized for claiming a powerful voice as Christian women and supporting ministries in- diocese, out of diocese and parishes. Our urban parishes are vital contributors to urban renewal in the state, and there are numerous suburban-urban partnerships between parishes. The mission of the Church is revealed in the Diocese of Connecticut through its involvement in activities such as Companions in Mission and the Anti-Racism Committees. Young people are important in this diocese. Camp Washington is a diocesan ministry, offering summer camp and year-round retreat experiences to children and youth. The Bishop's Fund for Children offers grants to programs that support and nurture children at risk throughout the state. The diocesan staff includes a full-time missioner for youth and young adults, and a full time missioner for children. Congregational and personal spiritual development are important here. The diocese continues to offer training in areas of stewardship, evangelism, Christian education, community organization, parish development, liturgy, worship and youth. There are retreats and days of prayer sponsored by the diocese, individual parishes, and organizations. The Ministry Exploration Education Program assists lay people in discovering the gifts God has given them and in discerning God's call to ministry. The call may be to servant leadership in the world or the parish, or a call to ordained diaconal or priestly ministry. Communications are important in the diocese. We employ a full-time Diocesan Editor who coordinates communications. All diocesan communication is disseminated online, including regular e-newsletters on parish administration and the weekly e-news. The diocesan newspaper, Good News, is mailed four times a year to nearly 32,000 households. The monthly newsletter Pass It On, listing current diocesan events, parishes in transition, and upcoming diocesan Safe Church training sessions, is available online or through the mail. There is also a radio program in Spanish, Acontecer Episcopal, sponsored by the Hispanic community at St. Luke/St. Paul Church in Bridgeport. A visionary leader, open to new ideas and able to communicate them. We are open to new ideas from outside our comfort zone about how parishes engage in their ministries and missions, particularly as financial pressures increase. Do the possibilities of 21st century communication intrigue you? A person whose life is deeply formed by prayer and scripture. Will you lead us in articulating the Gospel to the culture around us? Are prayer and retreat time a priority for you? Pastoral sensitivity and love of many different kinds of people are necessary strengths. A person who will help us to reconcile and heal. We come from different theological, social, and political perspectives. Will you help us share in a common table and mission? A person who will support lay ministry in all forms. Connecticut has a strong history of parish independence. Are you excited about congregational development and engaged by mutual ministry? A person of diverse experience. The broader the better! Ups. Downs. Corporate parish. Rural parish. Aided parish. East. West. North. South. Can you develop a diocesan mission strategy for congregations that speak Spanish and Creole? If you know how to balance a budget and keep mission and growth alive, we’re ready! And yes, a person with a sense of humor and a capacity for joy! "Finally, beloved, whatever is true, Whatever is honorable, whatever is just, Whatever is pure, whatever is pleasing, Whatever is commendable, If there is anything worthy of praise, think about these things." Despite being an English colony, Anglicans in Connecticut were few and far between until many years after the colony was established in the 1630's. It was not until 1707 that the first Anglican parish was formed here, and even then, it was only with the support of a priest from New York City. For much of its early history, parishes in Connecticut relied upon strong lay leadership to function. Gradually the number of parishes grew, beginning in the southwest and gradually tending toward the northeast. By the time of the American Revolution, roughly eight percent of the colony's population was Anglican, forty-five parishes supporting twenty priests. With independence in 1776 came a dilemma for Connecticut Anglicans. Many Anglicans remained in the state and hoped to be able to continue to maintain the worship liturgy and communion to which they had become attached. The lack of clergy and bishop remained a significant obstacle to growth. It was in this atmosphere that several Anglican clergy met in Woodbury in 1783 and chose Samuel Seabury to travel to England to seek ordination as a bishop. While the war was over, the Church of England refused to ordain Seabury. He then turned to the Scottish Episcopal Church, where he was duly ordained in Aberdeen, a historical connection that continues to be shared in a companion diocese relationship to this day. Upon returning to Connecticut, Seabury convened the first diocesan convention in 1785. In the nineteenth century, the number of Episcopal churches in Connecticut grew, particularly along the industrial corridors of the Naugatuck, Thames, and Connecticut River Valleys. Outreach to immigrant groups became an important factor in this growth, and the legacy of this outreach can be seen in the diocese’s current commitment to the growing Hispanic and Creole communities in Connecticut. A number of schools, including Berkeley Divinity School, were also established in this time. At the outset of the twentieth century, the diocese still lacked a cathedral. At that point, Bishop Chauncey Brewster was a leader in the Social Gospel Movement with its focus on confronting the problems industrialization had brought to society. Brewster insisted that any cathedral be a center for ministry to the poor, homeless and other "outsiders" of society. Christ Church in Hartford had long had a focus on such ministries, and this, along with its central location in the diocese and in the state capital, made it the choice of the Diocesan Convention in 1917. The size of the diocese had also grown to the point that the diocese began to consistently call for a suffragan bishop to aid in its ministries. With the exception of a period during the Great Depression, the diocese has successfully supported two bishops, and at times as many as three, as is the case today. Within the past fifty years, Connecticut Episcopalians embraced the Liturgical Movement in the 1960's and began to experiment more with styles of worship and returned to a focus on communion as the central act of worship. Connecticut bishops have also played leading roles in the Civil Rights movement. In our recent history, we have elected as bishop individuals from previously marginalized communities, such as the West Indian and Hispanic communities. 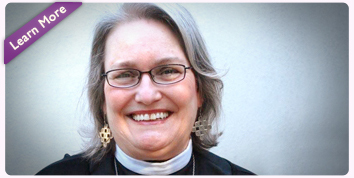 In addition, we elected a woman bishop for the first time in 2007, who currently serves as one of our Bishops Suffragan. With the leadership of Bishop Andrew Smith, we have increasingly turned our gaze to the international Church, developing relationships with other dioceses such as the Democratic Republic of Congo, the Diocese of Colombia, S.A., and the Diocese of Lebombo, Mozambique, and growing in our awareness of the ministry in other countries. 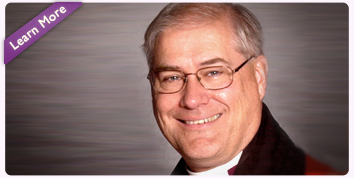 Bishop Smith has helped us strengthen ecumenical relationships in Connecticut through his leadership in the Christian Conference of Connecticut and through formal relationships with the Roman Catholic Diocese of Norwich and the Evangelical Lutheran Synod in America. This Diocese has taken the lead in Safe Church practices, and in the understanding of good clergy wellness practices. Connecticut offers a wide-ranging diversity of activities and events. There is plenty of recreation in our outdoor surroundings, through the 147 state parks, forests, numerous trails and monuments, and over 130 public boat launching sites offered in the state. New York City, Boston, and Providence are all within a two-hour drive from the center of Connecticut. Numerous educational institutions and urban settings help support classical and contemporary dance groups, theatrical organizations, operatic, symphonic, band, choral and chamber music groups, as well as a "Connecticut Art Trail" comprised of 14 museums and historical sites. For more information, visit www.ctvisit.com. Through initiatives designed to reduce racial and economic isolation, "Charter Schools" and "Magnet Schools" increased in enrollment between 2000 and 2004. Since 2001, High School enrollment in college credit courses has increased by 41%. Over one half of 2006 graduates have gone on to attend a four–year college; 24% attend a two-year college, and three-quarters of the others are employed in civilian or military occupations. 31.4% of those who are 25 and older have a bachelor’s degree or higher – an increase of 10% from 1998. There are 383 nonpublic schools in the State, including ten with an affiliation with the National Association of Episcopal Schools. At the higher education level, the state boasts 41 two- and four-year colleges and universities and 11 vocational/technical schools. There are 33 different graduate programs offered, including three that focus on theological education – Yale/Berkeley Divinity School, Hartford Seminary, and Holy Apostles Seminary. Schools range from local community colleges to nationally-ranked institutions like the University of Connecticut, Yale University, Trinity College, Connecticut College and Wesleyan University. Long an industrial center, Connecticut is adjusting to the demands of the new economy. Insurance, defense contractors, education and health care are the largest employers, with growing sectors in computer technology and the film industry. There is a wide disparity of wealth in the state. Connecticut includes the county with highest per capita income in the nation (Fairfield), but it is also home to four of the poorest cities in the nation as measured by poverty rates. Of the total students enrolled in public schools, one-quarter come from families poor enough to qualify for free or reduced-price meals. Tourism is a $4 billion-a-year business, much of it based on the attraction of the state's 250-mile Long Island Sound shoreline, the Litchfield hills, and the Connecticut River Valley. With its wealth of open land, Connecticut's scenery is some of New England's most beautiful. Its scores of colonial villages are filled with historic homes and landmarks. In recent years, tourists have been attracted to Foxwoods Casino and Mohegan Sun, both in the Eastern part of the state and run by two of the six Native American Tribes found within Connecticut. The overall population of the state has remained relatively steady over the past several years. Out of 3.5 million residents, about 60,000 are Episcopalians. Public school enrollment has increased by 24.5% between 1987 and 2006. Two-thirds of the enrollment gain between 1997 and 2006 was due to the growth of the Latino population, which increased by 40%. There are 129 different languages represented by students in the state school system. The overwhelming majority of those students report Spanish as their primary language. In terms of the religious outlook of Connecticut’s citizens, The Association of Religion Data Archives provides statistics on membership and adherence nationally and locally. Using their data from 2000, we can provide the above snapshot of Connecticut as it compares with the nation as a whole. Recent immigration has brought other non-Christian religions to the state, but the numbers of adherents of other religions are still low. Those professing Judaism or Islam as their affiliation are at 1% each. The number of Episcopalians in Connecticut has declined steadily over the past several years. However, the amount pledged has increased steadily over the same period. A. Submit your Application Form with curriculum vitae or resume and one page each, double-spaced Arial 12 point font answers to six (6) essay questions by email to: applyctbishopsearch@gmail.com between April 7 and May 1, 2009 at 5pm EDT. C. Your three references: a bishop, a presbyter, and a layperson should submit their answers to questions posed on the Recommendation Form in 12 Arial point font, single spaced with "Recommendation of (your name)" by email to applyctbishopsearch@gmail.com between April 7 and May 1 at 5pm EDT. During the week of May 11, 2009, applicants will be notified of next steps. Video conference/telephone interviews with the Search/Nominating Committee members will occur between May 11 and May 22, 2009. Members of the Search/Nominating Committee will visit applicants from May 24 - June 8, 2009. Applicants will visit the Diocese of Connecticut from June 8 to June 26 for face-to-face interviews. Nominees by the Search/Nomination Committee for 15th Diocesan Bishop will be announced July 1, 2009. Thank you for being part of this period of mutual discernment. Please pray for us as we will pray for you. 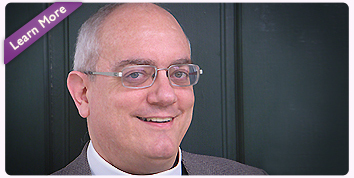 Friends, I am Mark Delcuze, and I serve as rector of St. Stephen's, Ridgefield. My parochial focus includes the renewal of the liturgy, broadening our outreach in the world and strengthening our incorporation of newcomers. Elected Clergy Alternate to GC 2009, I worked three years on the Cathedral Chapter. For the past year I've served as Ecumenical and Interreligious Officer for CT, a post I also held for ten years in Southern Virginia. Prior to coming to CT, I served for 20 years in parishes in the Dioceses of West Virginia, Virginia and Southern Virginia. I've been active in community organizing including Norfolk Urban Outreach and participated in the startup of Empower Hampton Roads. I served on Diocesan Executive Committee and as Chair of Examining Chaplains. Music and travel are my outlets for recreation. A singer-songwriter in college, I've performed in community musical theater. I have been privileged to travel in South America, Europe and most frequently in the British Isles. At home, I'm increasingly fascinated by the connective potential of the digital age. Like the steady beating of the human heart, opening to receive and then pushing to propel, I see the mission of our diocese as an active exchange. Our diocese is not so much a geographic location as it is a series of interactions, a drawing together and a sending out. I seek to be an agent of reconciliation, a desire I have lived out in rust-belt towns and suburban parishes. I have worked across boundaries of denominations and ideology to seek common ground. I believe that the work of reconciliation will be our first order of business. We must draw together to hear each other's stories and shape a common vocabulary of purpose. I also seek the collaboration of people from many faith traditions to address the injustice and poverty which confront us locally and abroad. I seek to be an agent of mission. Through the Cursillo movement and Benedictine practice, I've seen repeatedly the ways in which prayer and study compel us to action. I look forward to working in the Diocese in conversation with Christ in each other to shape a common rule of life, a rule which nourishes our apostolic action through common prayer and study. Our diocesan mission must include many voices and many perspectives. Real work will be required to reach across the divisions which fracture us. Drawing in and sending out, with joy, will form the rhythm of our life together. I believe this is the work we are called to do. How often has the story been told of the seeker who sets out on a perilous adventure only to discover the prize was already at hand? The challenges facing clergy today seem worthy of some exotic quest. I submit to you that what we seek is already available. The daily pursuit of God in Christ through prayer and study of the Scriptures is our first, best response to the suffering and anxiety that surrounds us. Such work, done corporately and privately in the Holy Spirit, is not pious window dressing, but the prize we seek. Ministry is shared among all the baptized. As clergy, we do well to listen to the witness of the laity, who are, more often than not, better positioned to be evangelists, missioners, teachers and administrators than we are. St. Paul spoke to the Corinthians about how they needed each other. So too, we need the full variety of gifts. Our work is equipping: offering the tools, encouragement and critique that allow all to perceive the world in light of the Gospel. Mary's Magnificat and Micah's challenge to "do justice" are principal among a host of resources. We also must care for ourselves, our households and our colleagues. Many of the difficulties which beset our church are fed by exhausted clergy whose overstressed calendars leave us ill-prepared to serve as guides to others. In the Bible, the Book of Common Prayer and our common pursuit of God's best desire for creation, we are fully supplied. We have work to do. A generation has passed since our catechism first explicitly affirmed that the laity are full ministers of the church. It has taken us thirty three years to meaningfully engage the significance and practice of baptismal ministry. This gift is a coin with two sides. Baptism is the sign and guarantee of inclusion. We are washed from sin and made members of Christ's Body, the church. Every Episcopalian, every Christian should regularly examine, renew and deepen the commitment to the covenant that was made with and for them at their baptism. The reverse of the coin is ministry. Having been joined to the new creation, we look afresh at the world and see human need and injustice. We see neighbors who do not know Christ. Each member of our church is uniquely located and responsible as an agent of the good news. In supporting congregations, the work of the diocese is to empower every member for baptismal ministry. The bishop is to be an educator as well as an administrator; an organizer in addition to a presider. Along with the other clergy, the bishop offers one frail and human image of the Rabbi who washed the disciples' feet. My hope for Connecticut is that we will live into our baptisms. I will seek the counsel of all the orders of ministry and give first place to our baptisms as our commissioning to serve this world which God so loves. We have work to do. I have been incredibly blessed my entire life by the love and support of a variety of communities in The Episcopal Church. I am a life-long Episcopalian/Anglican of immigrant stock who grew up in an economically depressed mill-town in central Massachusetts. I am a New Englander at heart; educated in Vermont, Kristin (my spouse) and I have made our homes in New Haven, Connecticut and greater Boston. I grew up in a typical, broad-church parish at Christ Church, Episcopal in Fitchburg, Massachusetts. As a missionary in L'Eglise Episcopale d'Haiti in 1983-1984 I learned how the Church ministers with poor and marginalized people. For the last two decades I have served as a parish priest at St. James's (yes, it's James's with "s's"), an economically challenged, diverse, and dynamic inner city congregation in Cambridge, Massachusetts. As Professor of Mission and World Christianity at the Episcopal Divinity School since 1989, I have traveled the world teaching and advocating for God's mission of restoration and reconciliation. My wife Kristin, our three young adult children Luke, Timothy, and Johanna, and our dog Lily show me over and over the incredible gift of the love of God in Christ. My friends and ministry colleagues continually call me to a deeper understanding of what the Holy Spirit is up to in the world today. Finally, I experience the goodness of God's creation in the out-of-doors and in physical activity as I enjoy sailing small sailboats, playing squash, skiing, and participating in Crossfit fitness training. Consider what the Holy Spirit has been doing in recent decades. In The Episcopal Church people who historically have been marginalized have begun to find their voices including: people of color, women, lay people, and most recently gay and lesbian Christians. Likewise in the broader Anglican Communion historically colonized peoples whose first language is not English and who live in economically and socially distressed circumstances are beginning to move from the margins to the center. Some see these recent changes in the Church as a threat to our unity in Christ. Yet I believe the increasing differences in the Body of Christ represent a new Pentecost that empowers us to proclaim the Good News of Jesus in new ways, with new voices, for a hurting and needy world. 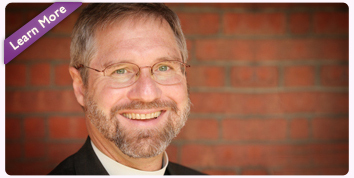 The Episcopal Diocese of Connecticut is particularly gifted to extend God's reconciling love in this new Pentecost because you embody a great diversity of parishes, peoples, and theological perspectives in a relatively compact geographic area. Celebrating the differences that God has given you, Episcopalians in Connecticut can best serve God's mission of reconciliation by modeling new ways to restore all people to unity with God and each other in Christ. Celebrating such differences is possible because in the incarnation of Jesus, the differences of fully God and fully human have been reconciled once and for all. In these changing times we are invited to live this incarnational truth by letting go of old securities and embracing the possibilities of God's new Pentecost. It is both a challenging, and exciting, time to be a Christian leader. Changes in the Church in recent decades, decreasing membership in mainline Protestant churches, and the global economic crisis cause some of us to worry about the viability of the institutional Church as we have known it. Yet in the midst of such turmoil there are fresh expressions of the Holy Spirit blowing. Old ecclesial boundaries are beginning to give way to new opportunities to serve God's mission of restoration and reconciliation within The Episcopal Church, with other Christians, and with people of other faiths. The challenges and changes of these times offer a leadership opportunity to all of us. As an extrovert and a person of vision and energy, I enjoy working with people of different perspectives and I deeply value being a member of a team. Although I come from a working-class family, I have been privileged to travel in circles of higher education and significant financial means. I am not afraid to talk about money and how God calls us to use our resources rightly. As your bishop I would offer these gifts as we work alongside one another to build up the Body of Christ for the sake of God's mission. Above all, I will try not to take things too seriously and will hope to enjoy many good laughs with you because I know in the end it's really all about God and God's mission and not about the Church or us. In 1835 The Episcopal Church proclaimed that every Episcopalian is a member of the church's missionary society by virtue of one's baptism (and not voluntary annual dues). The Episcopal Church has said for over 170 years that baptism gives us our vocation to serve God in the world. Baptism, not ordination, is our commission, "co-mission," in God's mission. The offices of deacon, presbyter, and bishop have been "ordered" by the Church to support the baptized in our service to God's mission and as such they are secondary to the priesthood of all believers. Because I believe that baptism is our commission in God's mission, I have dedicated my life and ministry to helping the people of The Episcopal Church discover a deeper commitment to mission. In my writing, teaching, and preaching, I have challenged Episcopalians to expand their understanding of missions (with an "s") to that of the missio Dei, the mission of God. It is God's mission to restore all people and all creation to unity with God and each other in Christ. Nothing excites me more than to work with sisters and brothers in Christ as together we ask: What is it that God is up to, right here, right now? How are we called, in the realities of our various vocations and daily lives, to join in God's restorative, reconciling activity in the world? I am thrilled by the possibility of accompanying you in such missionary endeavors. I am a fourth generation Texan who became an Episcopalian when a friend invited me to church. I am the very proud mother of Lisa, who lives in New York City, and Jacob, who is married to another Lisa and lives in Portland, Oregon. I have Bachelor's and Master's Degrees in Education from Texas Woman's University, a Master of Divinity from Houston Graduate School of Theology, and a Certificate of Individual Theological Studies from Episcopal Theological Seminary of the Southwest. Before being ordained, I did about everything one can do in Special Education and had a very active lay ministry including being a founding member of a mission of 35 or so persons and helping it grow into a healthy middle size parish. I was Assistant Rector at St. Dunstan's, Houston (a large suburban parish) before accepting the call as Rector of St. Mary's, Cypress eleven years ago. In the Diocese of Texas I have served on the Commission on Ministry (currently chair), as an Examining Chaplain, as chair of the committee beginning the diaconate, and twice as Dean of our Convocation. Within the larger Church, I have served on the board of the Roseate (ministry for abused women), helped coordinate interfaith worship and outreach in the Cypress area, gone on mission to Ukraine, and am one of 30 women clergy selected by the Lilly Endowment for a Sustaining Pastoral Excellence Grant called Women Touched by Grace. I am in the process of becoming a Benedictine oblate. Recently I sat in Christ Church Cathedral (Diocese of Texas) and participated in the ordination of 16 new (transitional) deacons. I realized that I knew each of those sixteen persons well--either through my relationship with them on the Commission on Ministry or through my work with the Iona School of Ministry, the diocese's school for bivocational clergy. One of my passions is the selection and formation of clergy. Over the past fifteen years, I have read well over two hundred spiritual autobiographies and had conversations with many more people about their call to ministry--lay person, deacon, priest, and bishop. The parish where I serve is privileged to be a place where new clergy are mentored. I have been invited for several years to be the first and last speaker at the diocese's "Curate Camp" (monthly continuing education for new priests); I teach about spiritual practices and clergy health, in particular keeping Sabbath. I am told that I bring compassion and holy listening to my relationships and gentleness when I must say a hard or unwelcome word. Serving, encouraging, and challenging clergy is a ministry for which I have great enthusiasm. Between my ministry as a lay person and then as priest, I have been actively involved in churches of all sizes in all sorts of places and in a variety of church institutions. As your bishop, I would be honored prayerfully to support you and to join with you in the work of God. Before I was a priest, I was an active lay leader in my parish. I have not forgotten the difficult task of juggling work, family, and ministry. I know the challenge it is to live our faith once we've left the relative safety of the church parking lot. When I talk to people who are discerning whether they are called to be clergy, I question their vocation when they say it is so they can serve God full time. No clergy, none, has more opportunity to serve God than the Baptized. What we should offer in the Church are the means for you, the Baptized, to be nourished so that you can share the gifts you have received of God's love and forgiveness with a world that largely does not know Christ Jesus. The Church should be a place where you can practice discipleship so that you can be a disciple in your quotidian life. I believe that each of the Baptized has important ministry to do; there is no small or insignificant ministry done for Christ. As an example, my preference is to call children "younger Christians" as a way to clearly value all that they have to offer. My ministry style is to work prayerfully and collaboratively with a community of faith discerning God's will and creating a ministry infrastructure to enable this to occur. As your bishop, it would be my privilege to join with you in the mission of the Church. My vision of Christian community has been shaped by the Great Commandment of Jesus and also by the Civil Rights movement and teaching of Dr. Martin Luther King, Jr. I grew up in Oak Park, Illinois, a then mostly-white, middle-class suburb of Chicago where as a teenager I was very active in the United Church of Christ. During those years I learned the value and cost of creative conflict as I confronted members of my own family and neighborhood over issues of human rights and justice. After graduation from Amherst College I followed a commitment to public education and taught elementary school in a rural district in Western Massachusetts. I also served as the youth minister for a shared ministry between a UCC and an Episcopal Church, where I found my spiritual home. After ten years I left teaching to attend seminary, and received an MDiv from the Berkeley Divinity School at Yale in 1985. Between 1985 and 1998 I served as Curate at Trinity, Torrington and as rector at Trinity, Portland. From 1998 to 2000 I served as Canon to the Ordinary in the Diocese of Connecticut. I was consecrated Bishop Suffragan in October, 2000. Since 2006 I have served as Provincial Bishop of Province I and am a member of the Presiding Bishop's Council of Advice. I am Convener of Bishops Working for a Just World, the network within the House of Bishops for advocacy and leadership on the social policy priorities of the Episcopal Church. My spouse, Kathleen McIntosh, is Chair of the Department of World Languages at Westfield State College in Westfield, Massachusetts. Our son Patrick lives in Rocky Hill, CT with his wife Andrea and their two children, Will and Maya. Our twin daughters, Serena and Gretchen, are university students. I envision in the Diocese of Connecticut a church formed by God's grace, shaped by the faith expressed in the Creeds, fed by Scripture and the Sacraments, and empowered by the Holy Spirit to be a community of conversion and transformation. But right now we seem to be more like the disciples in the upper room on the evening of the day of Resurrection: good people who are reeling from the events that have occurred around us. For them it was the death of their teacher and friend Jesus that caused them to huddle behind locked doors. For us it is the uncertainty of a world caught in financial crisis, the widening gap between rich and poor, war, environmental crisis, and loss of control. Many of us are fearful, judgmental of one another, and unsure what our future might be. Those disciples physically locked the doors against what they feared. We tend to withdraw into ourselves, hoard our resources, and seek scapegoats. We tend to forget that Jesus came into the locked room of fear, offered peace to his people, breathed on them the Holy Spirit, and sent them into the world to do the work of God. My vision for this diocese is that we will reclaim our place among the disciples in the upper room when the Risen Lord came to them. Let this be our daily acclamation: Christ is Risen. Our programs, our collaboration, administration, and mutual accountabilities all must support this attitude of expectation and transformation. Christ loves us, pours forth upon us lavish gifts of his peace and Holy Spirit and calls each of us out of the places of our fears to be messengers of Good News, hope, and liberation. A bishop, as a chief priest and pastor in a diocese, is called to encourage and support all baptized people in their gifts and ministries. Baptism incorporates us into the Body of Christ and empowers us to be ministers of Christ. I believe that a bishop has a special responsibility to nurture and sustain parishes for Christian formation, leadership development and renewal, and mission expansion. Clergy, by virtue of our ordination, have been entrusted with positions of leadership and responsibility within the Body of Christ. Each one of us knows great joy in our calling and often great burdens as well. In recognition of this fact, as bishop suffragan I have initiated networks of peer support for clergy across this diocese. I pledge to work with you and the lay leadership of the diocese to sustain and strengthen you and your families so that you are equipped to do the work of your calling: to nourish Christ's people from the riches of his grace. Today the church struggles with the cost of its infrastructure, with the complexity of maintaining and enhancing communities of worship, prayer, and spiritual development, and with making Christ known to new generations and a society unfamiliar with our language and our symbols. The future will require that we learn new ways of proclamation and have openness to new and leaner structures for community even as we celebrate the richness of our traditions, the diversity among us, and strive to make the transforming love of God in Christ known to the world. This future will require our commitment, collaboration, prayer, and renewal. I am proud to be an Episcopalian and a member of this diocese. I believe that in ministry together we can build a church of strong witness and welcome. My priority is that all persons in this church will be supported to grow into the vision of the Baptismal Covenant, the Episcopal Church's framework of belief in God and commitment to mission. Eucharist will be at the center of our life, uniting us in Christ and nurturing us for action. This church will invite all people into our community and welcome all the baptized into full participation and ministry. We will form disciples for mission in daily life through excellent education programs for all ages. We will be multi-cultural, multi-generational, and multi-lingual. We will rejoice in our diversity, and celebrate our new life in Christ. Every member of this church will be equipped to study scripture and to be able to tell his or her own story of faith to others. We will honor our traditions, but we will also become a people able to adapt to changing circumstances tied more to God's future than to our past. We will have policies of fiscal responsibility and mutual accountability for mission. This church will be so grounded in thanksgiving that we will respond to one another as fellow members of the Body of Christ and to financial challenges from a perspective of abundance, not fear. We will be a diocese so knit together in mission among ourselves and beyond ourselves that the people in every town in Connecticut will know where the Episcopal Church is, what we believe, what we are doing to share the love of God, and that we want them to join us. * The process of Connecticut Bishops Suffragan as potential nominees. The Constitution and Canons state the following: "A Suffragan Bishop shall be eligible for election as Bishop or Bishop Coadjutor of a Diocese, or as a Suffragan in another Diocese." (Art. II.4). The Standing Committee has determined that Connecticut Bishops Suffragan, should they discern a call to Diocesan Bishop, must submit all paperwork as required by any other candidate, be fully vetted as any other candidate, be interviewed as any other candidate and then named as a final candidate if the Suffragan still discerns a call to be Diocesan Bishop. The Search/Nomination Committee and the Bishop Suffragan will therefore be engaged in a process of mutual discernment, just as they will be with any other candidate. In that process the Search/Nomination Committee will be discerning whether or not the Suffragan, as with any other candidate, is called to this new position of Diocesan Bishop. This will be an honest and Spirit-centered process of mutual discernment. The difference is that the Search/Nomination Committee's final discernment will be shared with the Suffragan not in terms of whether or not he/she is nominated. Rather, the committee's final discernment will be shared confidentially with the Suffragan with the knowledge that the Suffragan, if she/he still discerns a call to be Diocesan Bishop, will be a candidate and that the Diocesan Convention will be the body that makes the discernment and decision regarding being called as a Diocesan.